Ideal for Indoor & Outdoor Events! One Liter (33.8 oz.) 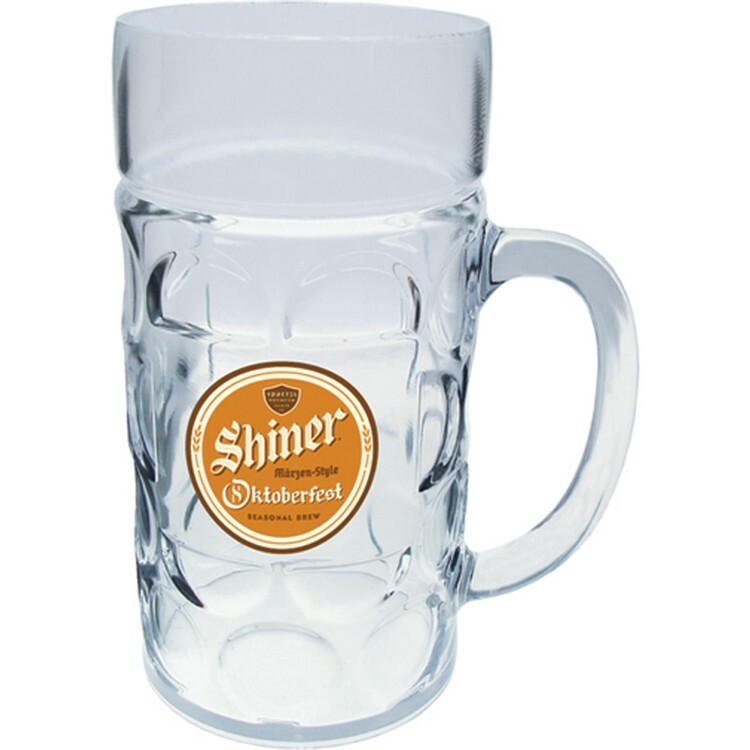 German Beer Mug with Handle, Made in USA of heavy Clear Styrene Plastic. Perfect for promoting Oktoberfest events, festivals, micro-breweries and for indoor or outdoor use. Prices include a one color, one location imprint with options of additional spot color printing and full color process printing available. Recyclable, BPA free, top rack dishwasher safe and FDA approved. SILKSCREEN IMPRINT: Price includes a one-color imprint on one side in a 2.5”w x 2”h area. See “Options” above for standard imprint colors, PMS color match, additional imprint color charges and 2nd side imprinting charges.